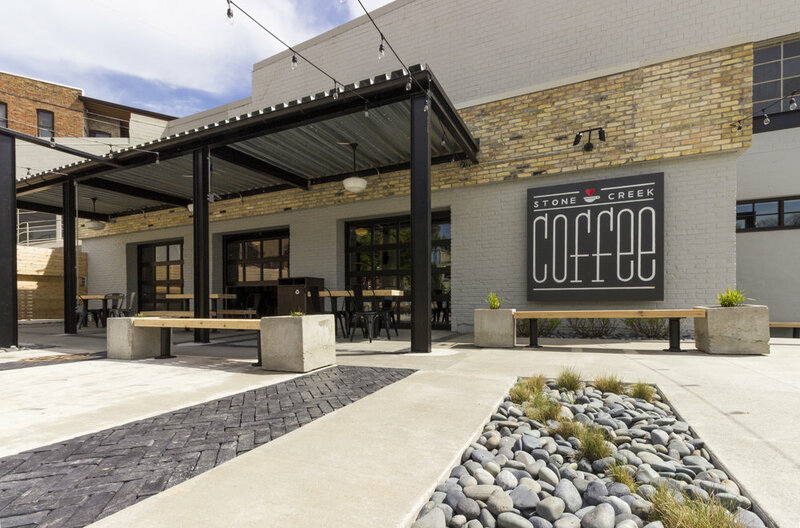 Stone Creek’s first cafe on Milwaukee’s east side, repurposed a corner 10 years dormant into a lively destination for neighbors, university students, professionals and long-standing residents. 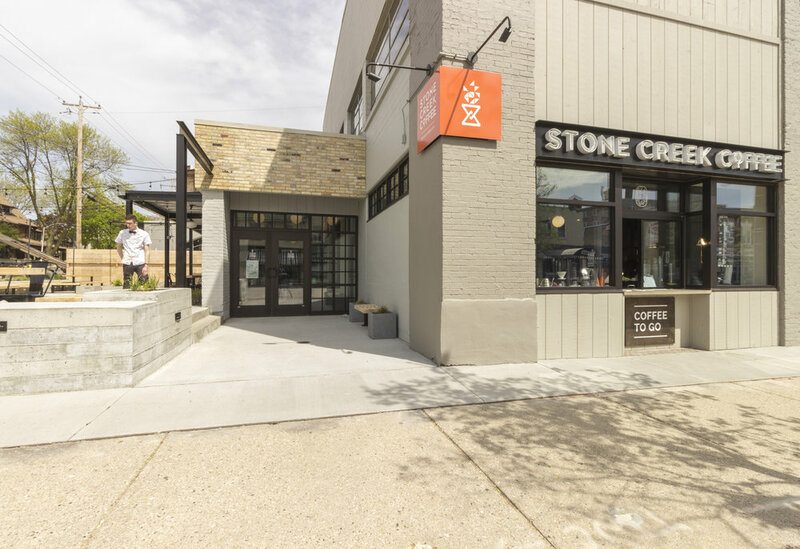 The building’s exterior pays homage to its past with original 1912 building materials while a large corner patio invites passersby to relax outside or in, through large garage door windows lifted to a partly covered three-season patio. Walk-up window service further connects the store to residents and visitors, supporting the already strong outdoor culture of the community.